The annual Reese’s Senior Bowl took place this past week in Mobile, Alabama. The week was filled with practices run by the San Fransisco 49ers and Oakland Raiders staffs, while scouts and coaches from every other team watched. This week’s work culminated in the final chapter of the Senior Bowl, the all-star game. 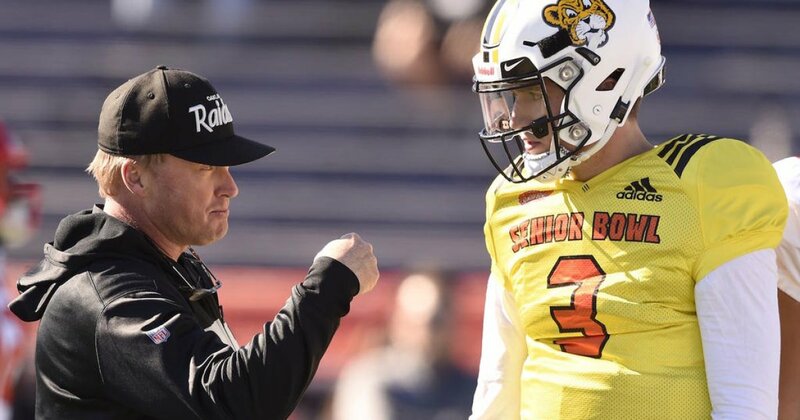 Here are five Senior Bowl standouts that the Baltimore Ravens should be intrigued by, and take interest as the team begins to focus on the upcoming NFL Draft. College Stats: 257 carries, 1,636 yards, 20 touchdowns, 22 receptions, 162 yards, 2 touchdowns. Senior Bowl Stats: 11 carries, 39 yards, 1 TD, 1 catch, 4 yards. The Notre Dame product is one of the more intriguing players to step on the field in Mobile this January. Dexter Williams rushed for 1,636 yards on the ground and scored 22 total touchdowns during his time as a Fighting Irishman. Although Williams had a mediocre performance in the all-star game with just 39 yards on 11 carries, Williams shined throughout the week at practice. He was named the best running back in practice by the Reese’s Senior Bowl. Williams’ performance with the coaches gives credence to expectations of great improvement in the NFL. College Stats: 172 total tackles, 5 pass deflections, 16 sacks. Senior Bowl Stats: 3 total tackles, 1 sack. You probably remember Khalen Saunders from two storylines this week. Not only did a video of him backflipping go viral, but his wife went into labor while he was in Mobile for the Senior Bowl. Saunders was able to find a way to get back to Chicago to see his newborn child but did not fail to make an impact on the field as well. Saunders showed his explosiveness at the Senior Bowl game, where he recorded three total tackles and one sack. The big, 6’2″ 310 lbs Saunders drove his stock up with his performance and made himself a household name this draft season. College Stats: 186 receptions, 2,133 yards, 15 touchdowns. Senior Bowl Stats: 5 receptions, 63 yards, 1 punt return, 18 yards. Hunter Renfrow, the player that many college football fans joke about being on the Clemson football team since 1960s, showed up to the Senior Bowl on a mission. Renfrow wanted to prove that he could be an NFL caliber wide receiver, despite his small size. Renfrow is just 5’10” tall and weighs only 180 lbs. Renfrow will need to prove himself as a capable slot receiver to make it in the NFL. His performance in the Senior Bowl showed that he can be a reliable receiver. He caught 5 passes for 63 yards, including a deep shot from West Virginia quarterback Will Grier. College Stats: 115 total tackles, 30 tackles for loss, 16.5 sacks, 4 forced fumbles, 1 fumble recovered, 1 pass deflection. Senior Bowl Stats: 3 tackles, 2 tackles for loss, 1 sack. Texas defensive lineman Charles Omenihu is the ideal physical specimen to play on an NFL defensive line. The tall and strong Omenihu stands at 6’6″ 275 lbs. Omenihu showed his power and burst at the Senior Bowl, with three tackles, two tackles for a loss, and one sack. Omenihu’s size, build, and ability make him a strong candidate to play at the edge rusher position. The Ravens will undoubtedly look into that position, with a potential need opening up at the position. Terry McLaurin was a steady presence on the Ohio State offense during his collegiate years. Standing at a lean 6’1″, 205 lbs, McLaurin has the measurables to play in the NFL. While many coaches will be intrigued by his height and weight, others may be dissuaded by his statistics at Ohio State. McLaurin only gained accumulated 1,251 receiving yards over the course of four years. His performance at the Senior Bowl improved his draft stock. He showed off with outstanding catches and reliable hands. McLaurin proved he has the talent to match his measurables, and the Ravens should take notice.